The Gallery Sessions is a new initiative by the Arts Council which allows us to feature local musicians in our gallery space. The shows are all ages and affordable to give these musicians the chance to play for a whole new audience. 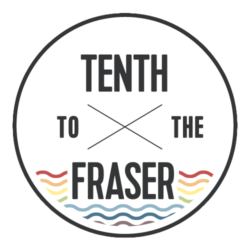 We are thrilled to have the opportunity to work with such accomplished musicians in this series and are hopeful that the sessions will continue to grow and become a ‘must attend’ musical event in the city. 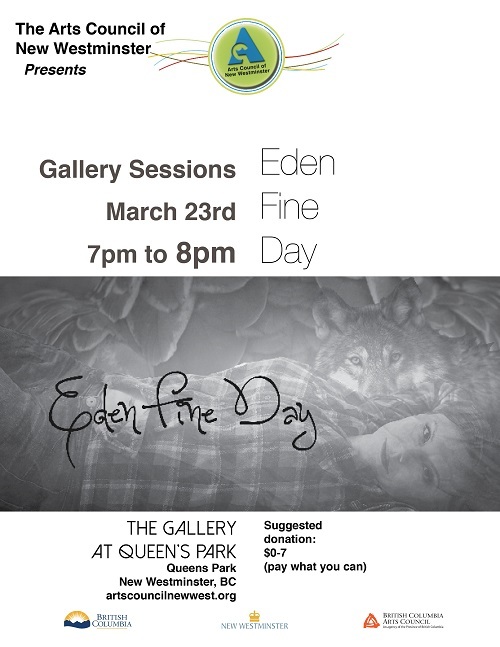 Eden Fine Day is a pop/rock singer songwriter who hails from the Sweetgrass First Nation in Saskatchewan. She was raised in Vancouver, lived more than 10 years in Santa Cruz, California, and then returned to Vancouver to start Vancougar, an awesome all-girl band with arguably one of the best band names in history. She will be bringing her fabulous musical talents to the Gallery tomorrow night (Wednesday, March 23) from 7:00 pm to 8:00 pm. Price is pay what you can, and funds raised go to pay the musicians and make sure we can keep running the Gallery Sessions as long as possible. In addition to the Gallery Sessions, Eden Fine Day will be further showcasing her songwriting skills as part of the Singer Songwriter Panel at LitFestNewWest on May 13-19. The Singer Songwriter Panel will be taking place on the Saturday night at 7:00 PM at the Laura C Muir Performing Arts Theatre and will feature such songwriters as Art Bergmann, Joe Keithly from DOA, Sean Nelson from Harvey Danger, Carolyn Mark, Billy Pettinger from BillyTheKid, and D Trevlon.